You can spread the cost of a funeral plan evenly up to a maximum of 120 months! Claim your free information pack today. If most of your friends enjoy yoga or visiting art-galleries, it’s unlikely that you will know many people who died young. If most of your friends enjoy motor-bikes or mountaineering, on the other hand, you probably will know a lot of people who died young. Motor-bikes and mountains are dangerous things. No matter how skilful and experienced you are, it’s not enough to avoid bad accidents, serious injuries and even death. You need a good dose of luck too. Sir Chris Bonington, Britain’s most famous mountaineer, has had that good luck. He’s reached the age of eighty-two, despite the risks he’s taken on dangerous climbs all around the world. But he’s lost a lot of friends on the way. One of them was Ian Clough, a mountaineer from Yorkshire. Clough was born in 1937 in the town of Baildon near Bradford. After the war he became part of a new generation of British climbers. Climbing had previously been a sport for rich southerners, dominated by people from Oxford and Cambridge University. In the 1950s and ’60s, working-class northerners like Don Whillans and Joe Brown began to enter the sport. They were from Lancashire; Ian Clough flew the white rose flag for Yorkshire. All of these young mountaineers learned their craft first close to home, on climbs in the Lake District and Scotland, then began to travel to the Alps in countries like France, Switzerland and Austria. Clough was part of the first British team to climb the fearsome North Face of the Eiger, and made the first ascent of a challenging pillar on Mount Blanc. He and other British climbers were gaining experience and sharpening their skills for the biggest mountaineering challenge of all: the Himalayas. The mountains there are the biggest, coldest and most dangerous in the world, but with the highest risks come the highest rewards. There is nothing to match the sense of achievement that comes from conquering a Himalayan peak. Mount Everest is the most famous name in the Himalayas, but in 1970 Ian Clough joined an expedition with perhaps an even more formidable challenge: to climb the unconquered south face of Annapurna. The expedition was led by Chris Bonington and included Don Whillans and the famous Scot Dougal Haston from Edinburgh. Whillans and Haston had the most climbing skill and they were the ones who eventually made it to the top. Clough played an essential role in putting them there, exhausting himself daily by carrying supplies as the team established bases higher and higher up the mountain. When news came over the radio that Whillans and Haston had reached the summit, Clough and Bonington were filled with delight. But only Bonington would carry memories of that delight into the decades ahead. 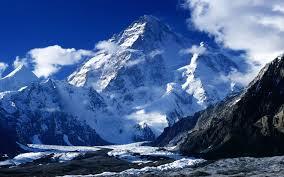 Clough had already passed the most dangerous part of the expedition, but mountains are like tigers who never sleep. Crossing a snow-field on the lower slopes, he was killed instantly when a stack of ice collapsed. It was a tragic ending to a triumphant expedition, but Clough has never been forgotten by those who knew and climbed with him. He was a modest and hard-working man, concentrating on the success of the team, not on advancing his own career and his own ego. He was also a very careful and safety-conscious climber. It wasn’t enough. He had a moment of bad luck and it killed him while he was still only in his thirties. If the ice-stack on Annapurna had fallen a minute earlier or a minute later, he would have survived the expedition and, like Chris Bonington, might still be alive today. But he knew what he was doing: he loved climbing and he was prepared to face the risks that came with it.